The red carpet is the ultimate occasion for stars to show off their style, their sexiness and the fact that they are unequivocally celebrities. They walk the red carpet for a variety of different occasions throughout the year from awards shows to premieres to numerous special events. One thing you can count on is that any red carpet occasion will attract the media and style will be discussed. Celebrities know this and are conscious of the impact that their fashion choices on the red carpet will make on the press they receive. The media enjoys discussing the style and look of every celebrity that walks the red carpet. Every ensemble is scrutinized and applauded or criticized without end. No matter what a celebrity wears, the talk will happen. So to shake it up and set tongues wagging, many stars love to wear see-through ensembles on the red carpet. Only a see-through ensemble can create a true sensation amongst the paparazzi. It will guarantee that star’s presence in the press the next day. Celebrities have a love-hate relationship with the media. When they are portrayed well in the media, they love it. However, if they are portrayed not so well or worse yet, ignored by the media, they hate them. See-through clothes on the red carpet are a definite ploy to attract attention and to increase the buzz about themselves in the media. Nothing gets a celebrity coverage as quickly as a risqué outfit. 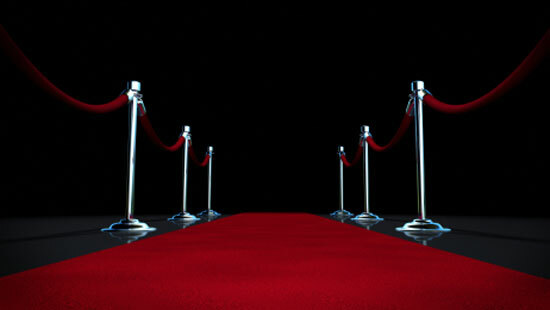 After all, the goal of the red carpet is really to attract attention and get good press coverage. When celebrities start to see themselves being eclipsed by younger, hotter or more popular celebrities, they tend to gravitate towards see-through outfits more and more. They work out hard to ensure that their bodies are ready for such an outfit. When they finally don the see-through ensemble they revel in the buzz it creates. Many an actress has seen a jump in her popularity from a risqué ensemble. Some celebrities choose to opt for see-through red carpet wear in order to shatter a belief that the public has of them as being conservative. Nothing shakes off the boring adjectives like wearing a see-through ensemble in front of millions. Many celebrities wear see-through simply because they can. They have great bodies, or are surrounded by people who tell them they have great bodies. They can afford to hire designers to create perfectly fitting see-through dresses that will make an impact. An outfit that might get an average person arrested in broad daylight will become the hit of the red carpet when worn by a star. Getting dressed for any red carpet affair is always tricky. The wrong choice can mean that the star is criticized endlessly for the flaw or even worse, can be completely ignored. The choice of a see-through outfit for the red carpet will certainly achieve one thing for sure. No one will be able to ignore it. The see-through ensemble will get a celebrity the attention she wants every time. I work as a production assistant on films, eventually I would get to produce my own films and thus earn a living. However (I must be a freak) I do not want anything the idea of going through a red carpet, I like watching it, but not me who does it so I know I never will.